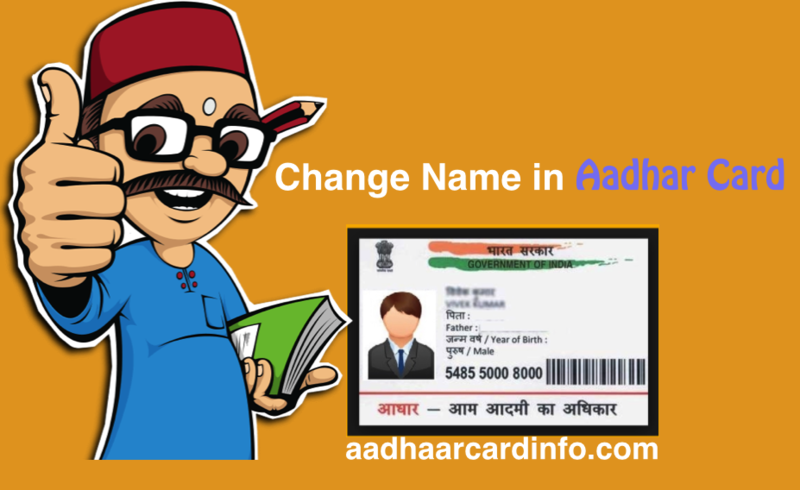 if your Aadhar card name is wrong then you can update the name online with the simple step and save your time. 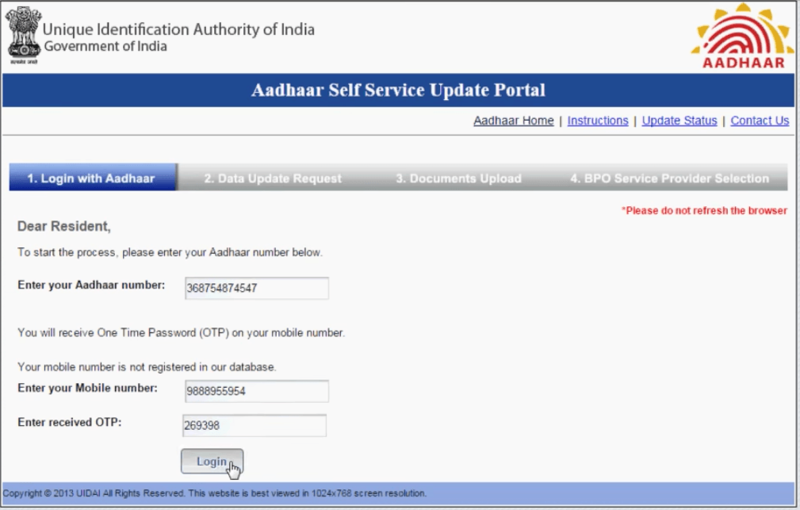 For this step, you must have your mobile phone because UIDAI will sent OTP to your register mobile number. 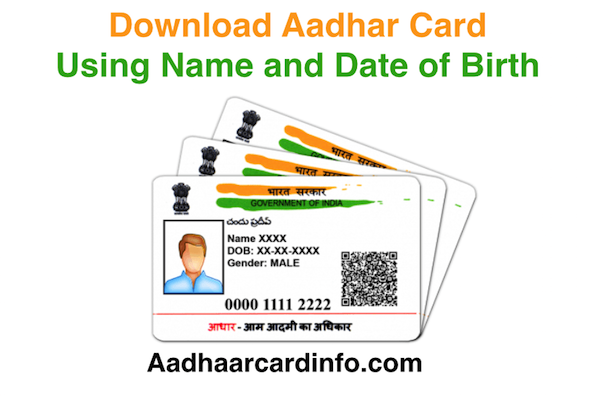 Aadhar card website is really very helpful in term of any data correction so if you easily change your name, mobile number, Address, Gender, Date of birth. 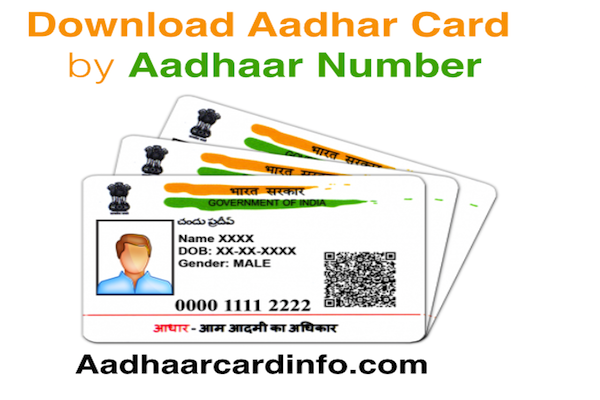 This online process completely removes the use of Aadhar card center. My personal opinion is that if government educate our society than no need to open new Aadhar card center. 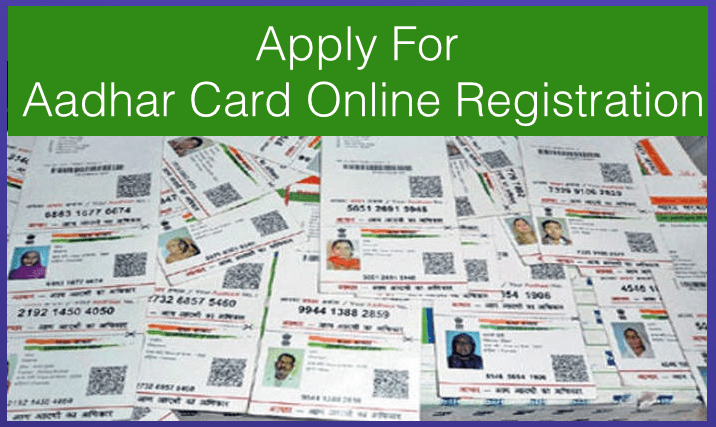 every people will use Aadhar card online process to solve their problem related to Aadhar card. 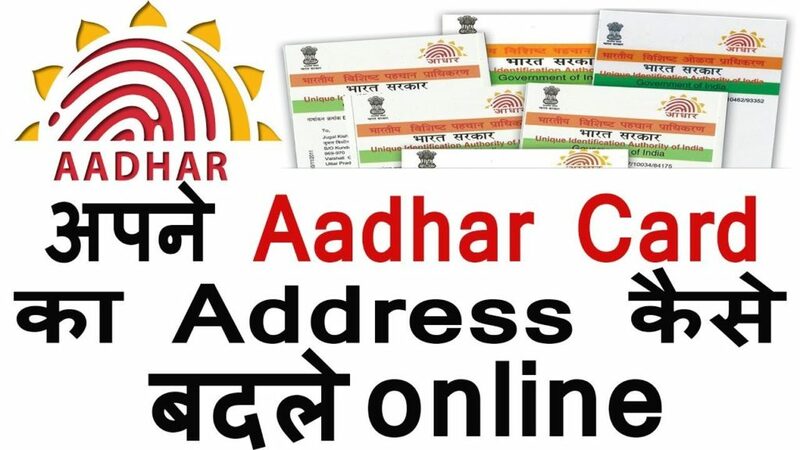 most of the people are not aware of the online process so they spend so much time on Aadhar card Enrolment center for a small problem which easily solved by Aadhar Card website but they are not much educated or not interested to spend time on the internet to solve their problem. 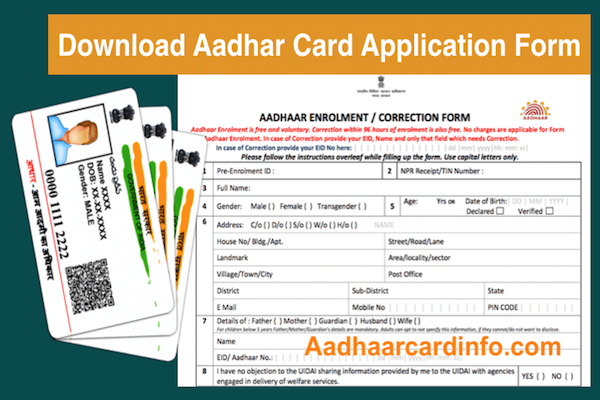 If you are reading this article then you really want to update your name in Aadhar card so i will list all correction process in a simple way. Click Here option which shows on below screen. 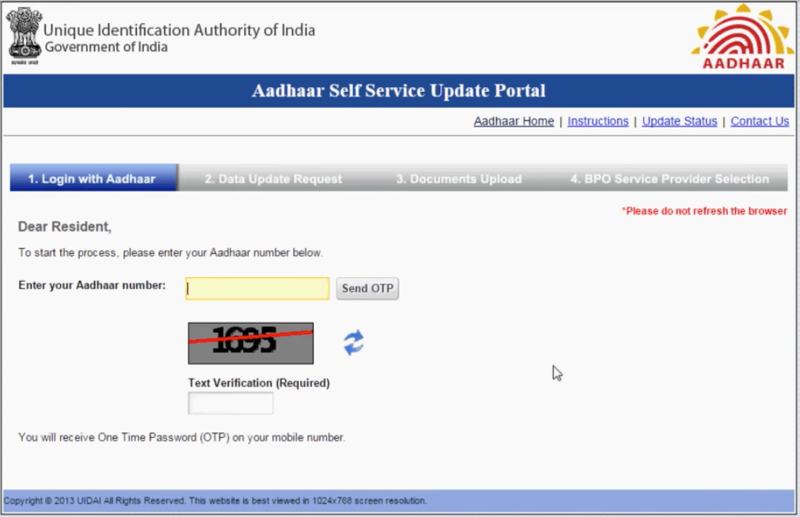 Now you need to enter Aadhaar number and OTP will be sent to your Mobile Number. check your mobile number for OTP and enter OTP into Text Verification Field which shows in below images with 4 digit captcha. 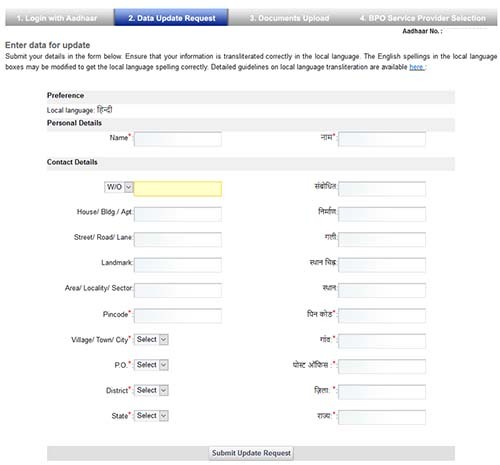 You need to Fill OTP which received on your old mobile number and press Login button. in this step, you need to click on Name option from the given table which shown in below images. 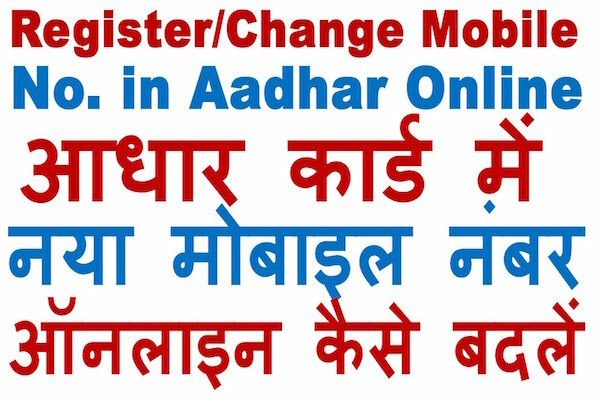 You can change your Address, gender, DOB or mobile number through same way like we are doing for Aadhar Card Change Name Online. in this step you need to update your new Name which you want to show in on Aadhar card. Please fill Full Name carefully. you need to upload your new address document which verify your new address. 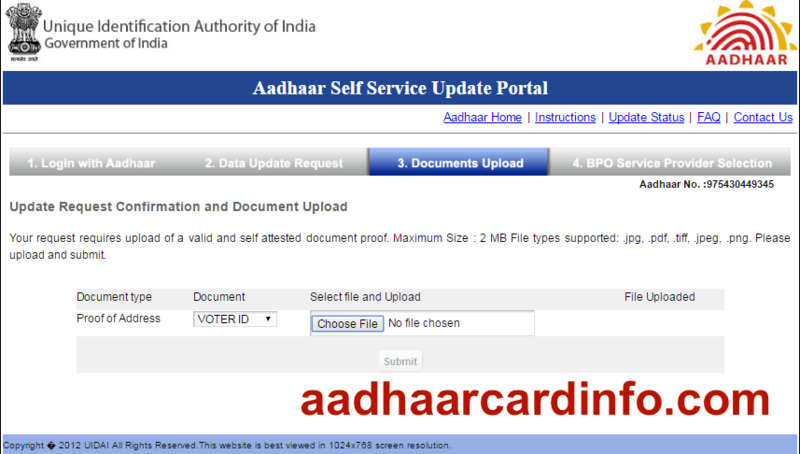 i just please upload the address document which show in Aadhar card Website. You can upload any document from the drop-down list of document. 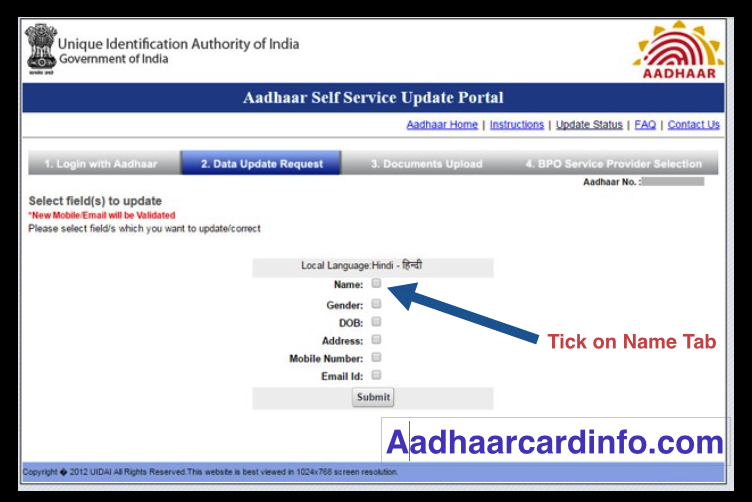 According to me, this step is to confuse you because you can select any BPO for your Aadhar card updation. 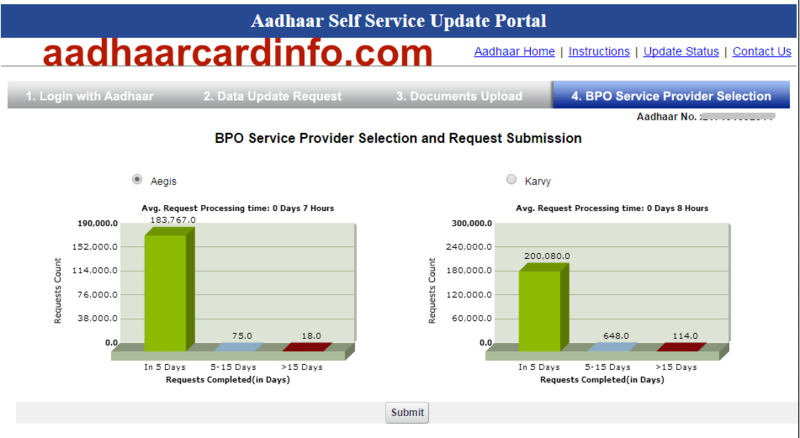 Aegis & Karvy is the BPO which process your request and actually edit your address from the old record and update the new address.